Is it possible to use ktag with 2014 volvo truck ecm. trying to get dpf delete on that truck? If I am not mistaken you need Kess v2 with proper cables unless you want to make your own. That's Obd model and it's not possible with ktag or kess. 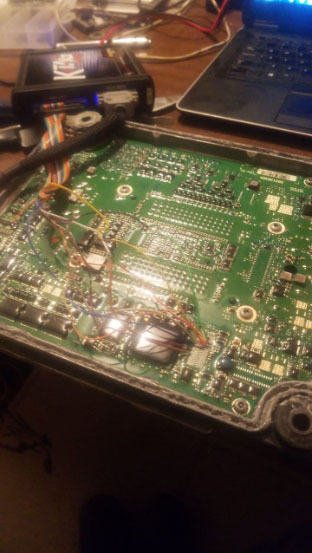 2014 Ecu is TRW 2.3 and its not possible to program with any aftermarket tool. I have BETA version protocol in ktag for testing, but CKS is making problems. Reading and writing works but it wont work with mod file. I believe KTAG can pull the info from the eprom, but you have to be DEAD on the pins or you could brick it. FGTech ori can read and write by BDM/JTAG mode. but using the ori ecu programming tool, you can have a try but need luck also. With ori ktag it is possible to read/write EMS 2.3 family 870 (coming soon), if you will ask support they will do activation in your tool.